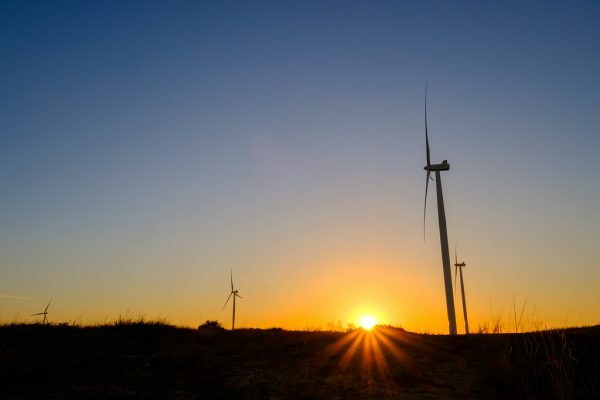 Part of Round 1 of the South African Government’s Renewable Energy Independent Power Producer Procurement Programme (REIPPPP), Umoya Energy Wind Farm connects to Eskom’s Kerschbosch switching station located at the wind farm. 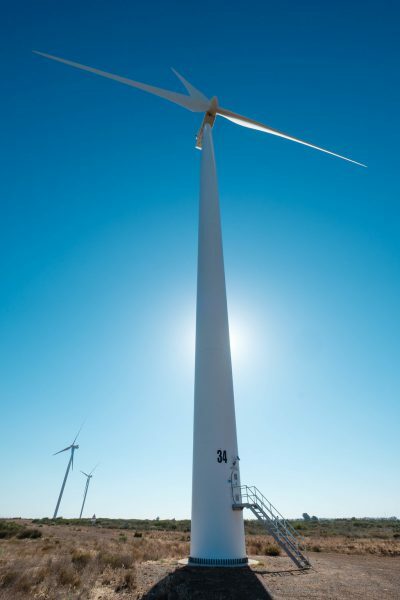 Umoya Energy Wind Farm comprises 37 Vestas V100 1.8MW wind turbines which stand 95m at hub height. The wind farm spans about 900 hectares but only occupies a small percentage of the land area. Umoya Energy (RF) Pty Ltd is owned by Old Mutual, various funds managed by African Infrastructure Investment Managers (AIIM), Tomlo Commodities Pty Ltd and the Local Community Company. The wind farm comprises 37 Vestas V100 1.8 MW wind turbine generators (WTGs) and has an installed capacity of 66.6 MW. It is situated approximately 5km Southeast of Hopefield, straddling the R45 in the Saldanha Bay Municipality in the Western Cape. Umoya Energy owns three adjoining farms with a combined area of approximately 2 400 hectares. Roughly half of this land was designated as a Conservation Area and is managed by SANParks, and will be declared part of the West Coast National Park. Umoya Energy Wind Farm received Environmental Authorisation in September 2009. Construction of the wind farm commenced in December 2012. Commercial Operation Date (COD) was achieved on 1 February 2014, which was a first in South Africa. 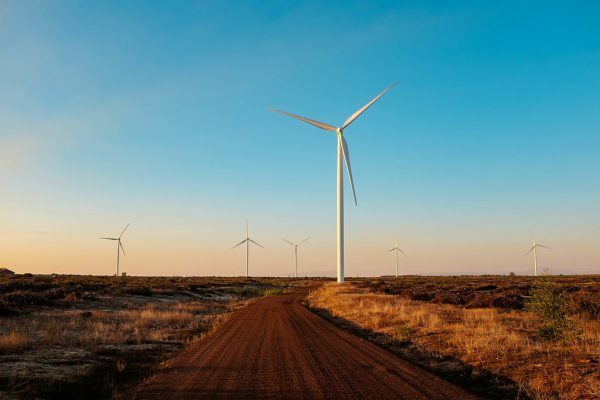 Vestas Southern Africa supplied the wind turbines, was responsible for the construction of the wind farm, and is also responsible for operation & maintenance of the plant for the first 15 years. 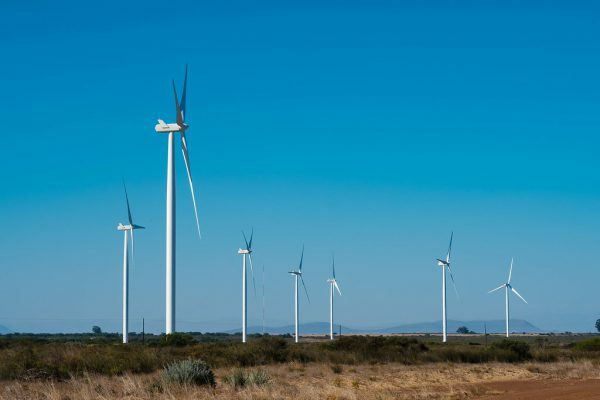 The wind farm is connected to Eskom’s Kerschbosch switching station which is located at the wind farm and was built under a self-build agreement together with a 132kV line spanning approximately 2km. It supplies approximately 176 600MWh/year of clean, renewable energy to the national grid, addressing the ongoing and increasing need for electricity in South Africa. 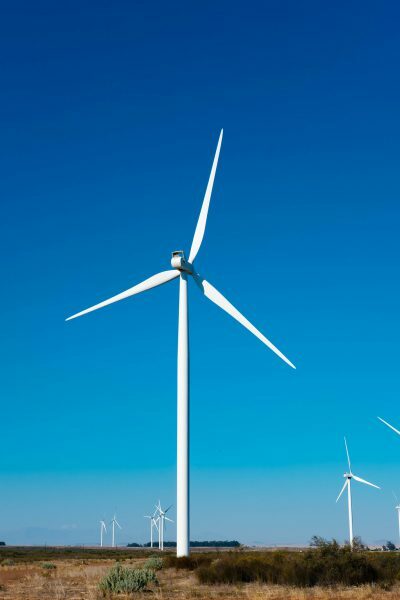 The wind farm produces enough green electricity to supply approximately 49 000 low-income (at a usage of 3 600kWh/year), or 22 000 medium-income South African homes (at a usage of 7 800kWh/year), and in so doing avoids approximately 183 200 tonnes of carbon emissions each year when compared to traditional fossil fuel power plants. Umoya Energy Wind Farm positively impacts the communities in the surrounding areas.